This combo of a black double breasted blazer and Lira Clothing crossroad slim fit pants is very easy to throw together without a second thought, helping you look on-trend and ready for anything without spending too much time rummaging through your closet. For something more on the daring side to complete this look, opt for a pair of black leather slip-on sneakers. 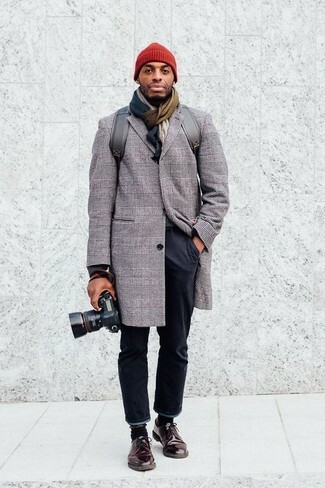 Consider wearing a charcoal check overcoat and Lira Clothing Crossroad Slim Fit Pants from Nordstrom and you'll look incredibly dapper anywhere anytime. Introduce white canvas low top sneakers to your getup to have some fun with things. If you're in search of a casual yet on-trend getup, pair a light blue chambray long sleeve shirt with Lira Clothing crossroad slim fit pants. Both items are totally comfortable and will look great together. 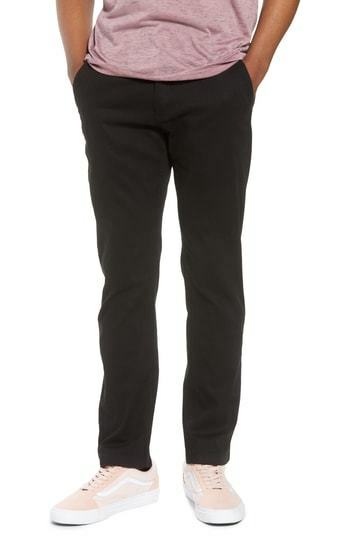 A black blazer and Lira Clothing Crossroad Slim Fit Pants are the kind of effortlessly smart items that you can wear for years to come. Why not take a more relaxed approach with footwear and complete this ensemble with navy leather low top sneakers? 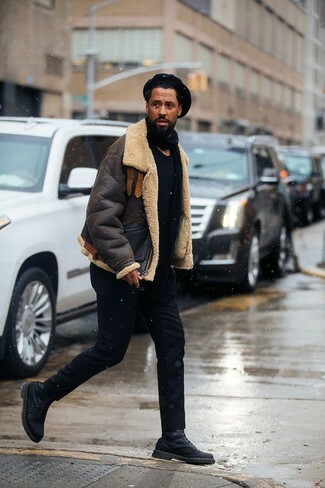 A semi-casual pairing of a black puffer jacket and Lira Clothing Crossroad Slim Fit Pants can be appropriate in a ton of situations. And if you wish to effortlesslly elevate this ensemble with one single item, complete your outfit with black leather derby shoes. This smart casual pairing of a grey plaid overcoat and Lira Clothing black chinos is super easy to put together without a second thought, helping you look awesome and ready for anything without spending too much time rummaging through your closet. Let your outfit coordination skills really shine by rounding off this look with a pair of dark brown leather derby shoes. When the situation permits relaxed casual style, you can easily opt for a dark brown cardigan and Lira Clothing Crossroad Slim Fit Pants. Bring an elegant twist to an otherwise too-common getup with dark brown leather derby shoes. A dark brown shearling jacket looks so good when teamed with Lira Clothing Crossroad Slim Fit Pants from Nordstrom in a relaxed outfit. Black leather casual boots pull the look together. 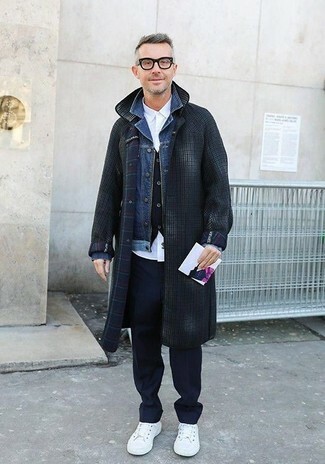 As you can see, it doesn't require that much effort for a man to look stylish. Wear a grey overcoat with Lira Clothing Crossroad Slim Fit Pants from Nordstrom and you'll look awesome. 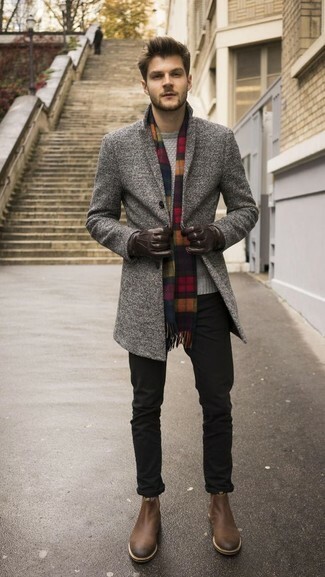 For a more sophisticated take, why not complete this look with a pair of brown leather chelsea boots?